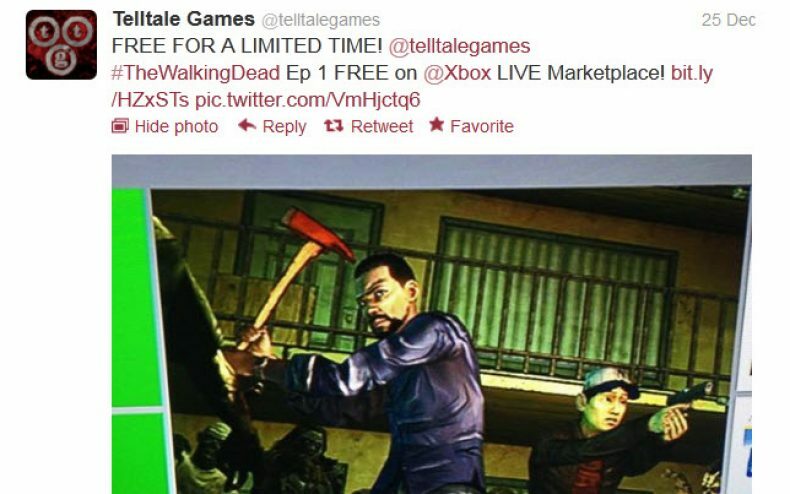 The Walking Dead game is now available for free on Xbox for a limited time. Last week, we shared the fact that Telltale made the game free for iOS, but now it’s available for a limited time on the Xbox. Episode 1, “A New Day”, begins the series that features Lee Everett as the main character in his quest to protect Clementine and survive the zombie apocalypse. If you haven’t downloaded your copy yet, you better hurry. Telltale has not mentioned when the promo will end, so don’t waste any time and download your copy today.